Last week I talked about how I’m modifying NaNoWriMo and participating as a NaNo Rebel. I’m aiming for 50 hours of editing instead of 50,000 words. Because my goal is so different, I’m not signing up on the forums, and I’m not sure how much I’ll be hanging around other NaNoers (online or in real life). NaNo has always been my month to recommit to writing, and even if I’m a rebel this year, I’m not going to let that get away from me. …I busy myself with things that feel productive (blogging, working on Turtleduck Press stuff, networking), might be more gratifying in the short term, and are in fact important parts of a writing career — but aren’t the core of what I need to be doing. …I write short fiction, which is fine and allows me to sharpen my writing skills — but it’s not where my heart is. …I allow myself to be distracted by the Internet (understatement of the century). At the end of my life, am I going to wish I watched more cat videos? Sure, the Internet has given me good friends, good stories, things that induce joy and laughter, as well as brain candy (and I’ve gotta tell you, sometimes the brain just needs candy). But it’s not why I’m here. It’s not my calling. It’s not what makes me feel like my deepest self. …I will recommit to my art. …I will edit with joy. …I will dig deeper and enrich my writing. …I will live and breathe my novel. …I will not permit silly excuses, or procrastination, or fear, to get in the way of my dreams. …I will reward myself as necessary until the reward becomes no longer necessary. …I will do what I must to meet this goal. And I will take the habits and lessons learned, and I will practice them going forward (though scaled back to allow for other parts of life). Because NaNo is just one month, but my dream of writing is for always. Your turn! If you’re doing NaNoWriMo, what are your goals for the month (besides 50,000 words, obviously)? Even if you’re not participating or are not a writer, how can you recommit to your dreams? In celebration of Halloween, we’re talking Gothic fiction this week. That’s a big genre, ranging from Mary Shelley to Edgar Allan Poe. But what I’m particularly interested in are stories that exemplify the core of the genre — novels like Jane Eyre and The Turn of the Screw. This recent edition features Heathcliff at his most, er vampiric. An old, decrepit mansion in the wilderness. A mysterious, emotionally distant master of the house (or sometimes mistress, if it’s not a romance). A young woman (such as a governess) who is new to the scene. An orphaned/unwanted child or children living at the house. A terrible secret (sometimes supernatural). As with all horror, there’s something wrong in the setting — a moral transgression that has resulted in something terrible. The young woman has to solve it and right the wrong. The master is mixed up in it — it’s his secret, though usually some of the servants are helping him keep it. Sometimes the young woman and the master are involved in a romance, which can’t be consummated until the secret is uncovered and robbed of its power. Clearly Gothic stories are highly gendered — think of the young innocent woman (and children) in danger, or the brooding Gothic heroes like Rochester and Heathcliff. But more than that, it’s always a woman coming into the man’s house. The Gothic house is cold, run-down, loveless…kind of like its master. Only the young woman can turn it into a home and rescue the children (and, if it’s a romance, warm the heart of the Gothic hero). Sometimes she fails — as in The Turn of the Screw or Wuthering Heights. 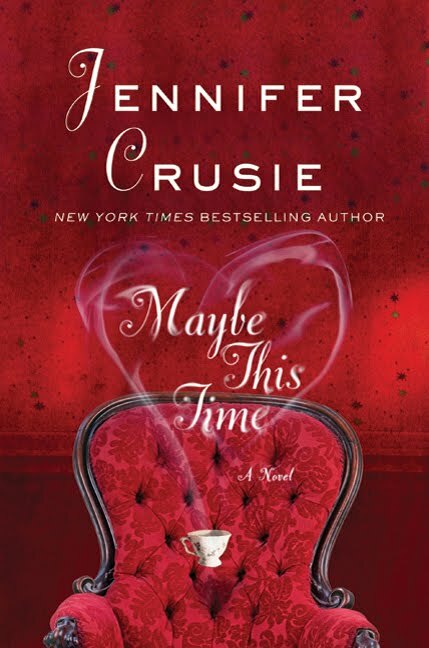 Sometimes she succeeds — as in Jane Eyre or Maybe This Time, Jennifer Crusie’s modern-day retelling of The Turn of the Screw. But the young woman isn’t always a virginal, innocent type. 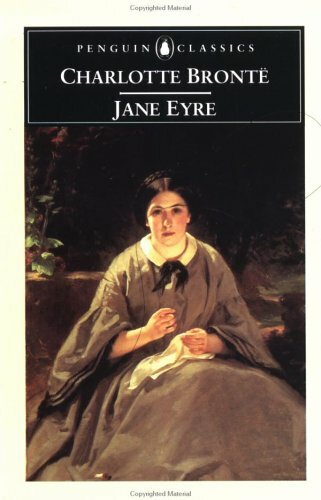 Jane Eyre is virginal, all right, but she’s pretty cold herself, thanks to her own upbringing as an orphan (in a cheerless boarding school run by a harsh master — almost a Gothic mansion in its own right); it takes meeting Rochester for her to develop passion. Andie, the heroine of Maybe This Time, isn’t young — she’s already been married once — but she’s certainly cheerier than the other denizens of the house. You’ve heard of the mythical three stages of womanhood, yes? Maiden, mother, crone? If we can accept that the young woman is more-or-less a maiden, who develops into a mother (and wife) over the course of the story, then what about the crone? Well, as it happens, the young woman usually isn’t the only woman in the story. Wuthering Heights, Jane Eyre, and The Turn of the Screw (and Maybe This Time) all have a housekeeper who isn’t able to keep the house running as it should. Of course, she’s not the mistress of the house. She’s also not young and marriageable — which makes her the crone, and therefore somehow unable to provide a “woman’s touch”. 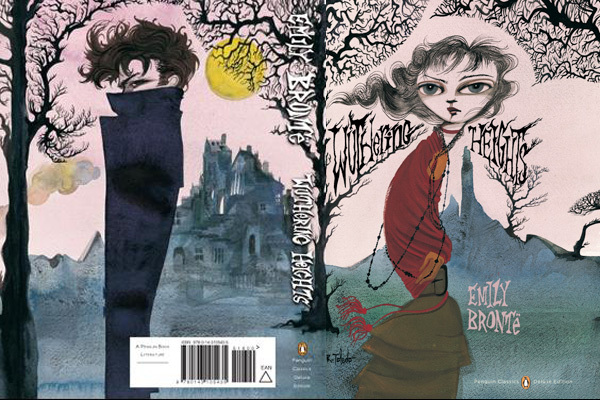 I love how this cover screams “horror pulp”, unlike the Jane Eyre cover, which screams “serious literature”. 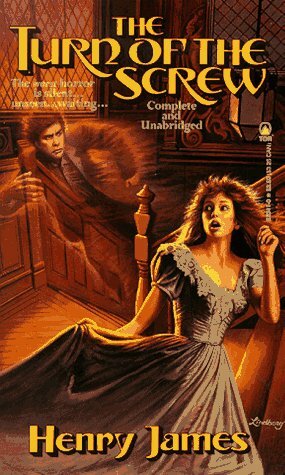 Wuthering Heights has some fun pulp-y covers too. Besides the young woman and the crone, there’s one more female trope in Gothic fiction: the proverbial “madwoman in the attic”. That’s (the first) Mrs. Rochester in Jane Eyre and Miss Havisham in Great Expectations (though interestingly enough, Great Expectations has a male hero). You could also argue to include the governess in The Turn of the Screw, who turns from maiden to madwoman over the course of the story — a common reading is that the ghosts she sees are hallucinations. So what’s wrong with these women? In the standard approach, they’re symbols of repressed feminine power. For example, Wide Sargasso Sea by Jean Rhys retells Mrs. Rochester’s story from her own point of view, which exposes racial issues as well as feminist ones. They’re also symbols of broken transitions and unfulfilled roles. Miss Havisham’s fiance left her, which is why she wanders around in her wedding gown for decades. Mrs. Rochester has gone mad early in her marriage (which may or may not be Mr. Rochester’s fault, depending on your reading) and is therefore unable to fulfill her role as wife. In Maybe This Time, one of the ghosts plays double duty as the “madwoman” due to her untimely death. Again, it takes the maiden-turned-mother to put things to rights. Your turn! What do you think of my theories? Am I out to lunch? What’s your take on the feminine and the Gothic? Which Gothic novel is your favourite? You might also enjoy my review of the Gothic film The Woman in Black. If you liked this post, check out the latest anthology from Turtleduck Press, which features TWO Gothic short stories — one from me and one from Kit Campbell, whose novel Shards is out next month. Tell us about something you used to be into but aren’t anymore — a hobby, an activity, a band, a TV show, etc. Earlier this evening I happened to catch a bit of figure skating on TV and it reminded me…back in the ’90s I was a huge fan. Are You a NaNo Rebel? It’s that time of year again — NaNoWriMo. All over the world, people are gearing up to write 50,000 words of fiction in the month of November. Love it or hate it, everyone has an opinion. Me, I think it’s fabulous. Plus, this year I’m in the middle of the second draft of a novel (first written during NaNo). And although I tried making notes on some of my back-burner novel ideas, none of them really grabbed me. However, last year I had to skip NaNo for Life reasons, and I very much wanted to do it this year, for the reasons I mentioned above. So I’m declaring myself a NaNo Rebel. In November, I will be aiming for 50 hours of editing on my novel. I’m not declaring an end goal (“product” goal) because I have no idea how far that will get me — to the end of the draft? to the end of the third draft? still in the middle of the second draft? — but time goals (“process” goals) usually work well for me. I’m excited to find out how a really ambitious time goal will turn out. You’ll find me on Twitter, piggybacking on the NaNo vibe, doing half-hour sprints along with everyone else, and waving my rebel flag. Your Turn! Do you do / have you done NaNoWriMo? Have you ever participated as a NaNo Rebel? Have you ever been to a science or aeronautics museum where they were showing an IMAX film about the space program? (If you’re over a certain age, you might remember when that was the only place you could see an IMAX film, and they were all documentaries and only 40 minutes long.) Remember the giant panoramas of Earth from orbit, the spacewalks, the space shuttle, the sense of immensity? The new film Gravity has all of that. 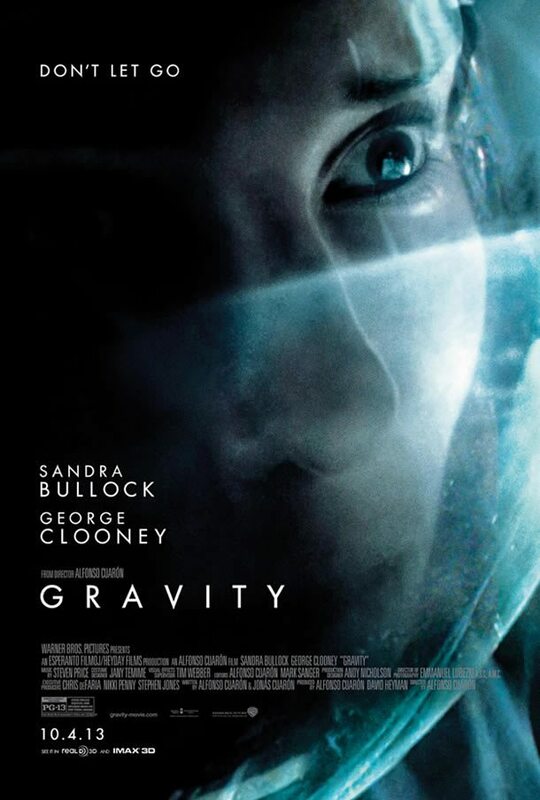 Director Alfonso Cuarón (and his cinematographer and special effects team) have done a beautiful job of capturing the feeling of being in zero gravity in Earth orbit…or so I imagine, anyway. It’s especially effective if seen in 3D…and I’m not a big fan of 3D, so take note. There’s the sense of being — literally — ungrounded (though not too bad on the motion-sickness front, after a few minutes early on), the lack of reference points, the hugeness, the beauty of space. This is what 3D is for. And oh yeah, the plot is good too. Or at least Sandra Bullock’s fear. She’s the rookie to Clooney’s old space jockey, which makes him the mentor figure and her the main character. Sadly, their emotional states — especially early on — are pretty stereotypical along gender lines (panicky woman, calming man). For a story that relies so heavily on two characters, it would’ve been nice to see some deeper, more complex emotional arcs. But it’s still very refreshing to see a strong female main character in a hard science fiction story. More of that, please, Hollywood! And hard science fiction it is. The problems they face have to do with (literal) inertia, orbital mechanics, orbital debris, mechanical breakdowns, and similar — kind of like Apollo 13, but with less jury-rigging and more physics. It’s almost a “(wo)man versus nature” story, if you remember your English high school lessons, but it also makes this astronomy lover geek out. Possibly the coolest part: this hard-SF setting is almost contemporary. Cuarón has done a little fudging, so the story can’t be dated exactly, but the space shuttle is there, the Hubble Telescope, the International Space Station. Growing up in the ’80s and ’90s, I remember being inspired by the space program (back when it was actually going somewhere…I may be slightly bitter about that). Seeing it dramatized is pretty damn awesome. Your turn! 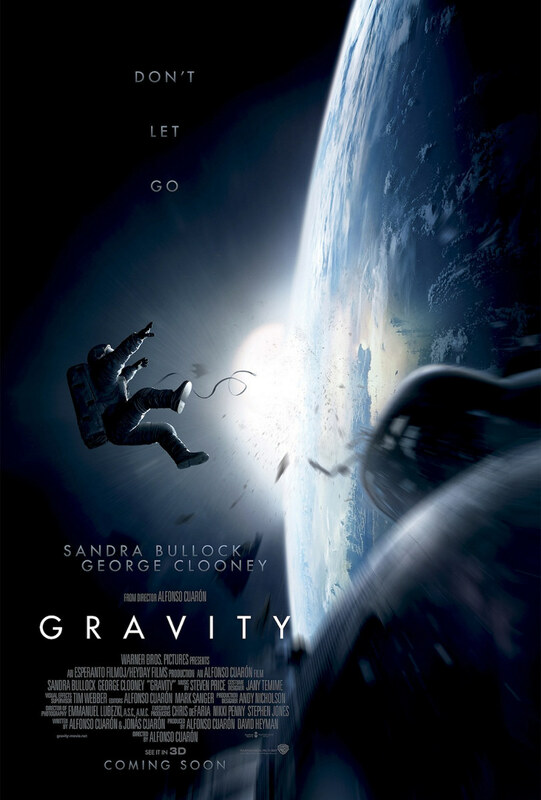 Have you seen Gravity? What did you think? Pacific Rim Analysis: Is Mako a Strong Female Character? Welcome to another edition of WANA Saturday, er, Friday, where you’re invited to join us in blogging on a common topic and going on a blog-hop to read everyone’s takes. Tatiana de Rosnay has written a book called The House I Loved about Rose Bazelet in France in the 1860s when her house was to be destroyed in the reconstruction of Paris into a modern city. This book made me think of the houses that I have lived in and loved. What house, or place, have you lived in that you loved? Tell us about it. I grew up in suburbia, so I can’t say I loved my childhood house exactly. Yes, it was home, but my heart belongs to old houses, like my grandmother’s house in Vancouver or the house I’m lucky enough to live in now. And I don’t miss the suburban lifestyle — my current home has a good balance of public transit accessibility, nearby amenities, and backyard and other green space. But I did move across Canada when I left home. 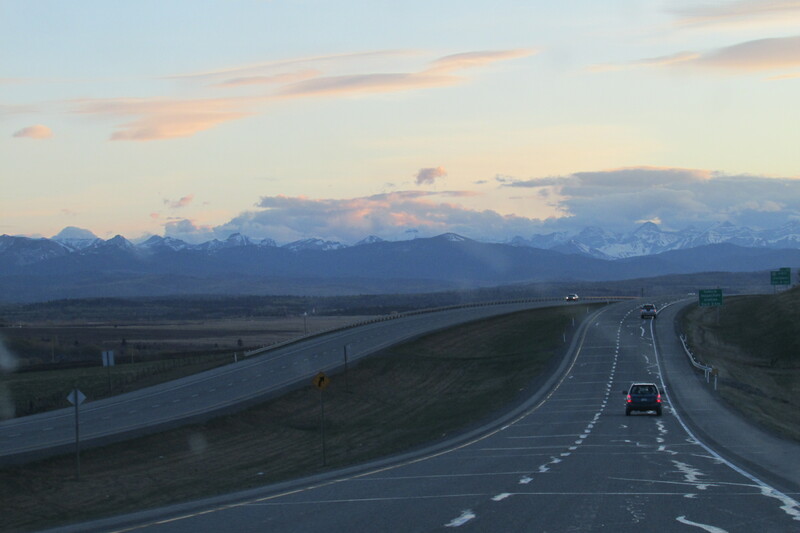 The Rocky Mountains west of Calgary, Alberta. I miss the huge prairie skies, with their ever-changing clouds, their pure deep blue, and their spectacular sunsets. I miss the fields of wheat and oat and barley, the sparse rows of trees set up as windbreaks, the big red barns all made in a particular style. I miss the Rocky Mountains — but that’s a post for another day. I even miss winter. Sure, it’s longer and colder and darker than winter in Toronto, where I live now. But it’s a lot sunnier — in fact, the colder it is, the more likely it is to be sunny. It’s drier and less windy. And the snow stays crisp and frozen, rather than turning into ankle-deep slush that must be waded through. Don’t get me wrong, I am not a fan of the -30 C weather Alberta gets in the winter, but I really hate slush. When I was growing up in Alberta, we used to pretend we were Arctic explorers (thank you, Arthur Ransome). We built forts and made snow paths with our toboggans (one benefit of having a big suburban backyard!) and slid down hills and went cross-country skiing and skating outdoors and climbed snow mountains. Even shovelling was fun…for a while! Your turn! If you’ve moved from one climate to another, what do you miss? 1. Adapt your plans to your lifestyle and needs. I know my garden isn’t going to be tended for hours each day, so I’m keeping it small, and I’m on a mission to discover which vegetables grow best under my erratic care. Zucchini is robust? Great! Celery needs nursing? Too bad, it’s not going in my garden. If you’re in a small space or have poor soil, look into container gardening — it’s pretty amazing what you can grow in pots these days. Make gardening work for you, and it’ll be a lot more fun. Life lesson: Whether you’re trying to make time for a hobby you’re passionate about or to fit exercise into a busy schedule, it’s easier if you can work your new activity around the lifestyle needs you already have. 2. Keep up, don’t catch up. You can pull out every last weed, stand back, and admire a job well done. But a week later, they’ll be sprouting up all over the place again. (It helps if you can get the whole root, which is hard with weeds that have long taproots). Discouraging? Yes. But it’s easier to keep up now than catch up later — trust me. Life lesson: Some tasks come back again and again — laundry and other chores come to mind. It’s easier to stay on top of them if you’re not always playing catch-up. 3. But…it doesn’t have to be perfect. See the green thing on the right? That’s a weed. Should it be there? No. But is it the first thing you notice? Probably not. My garden had weeds in it. 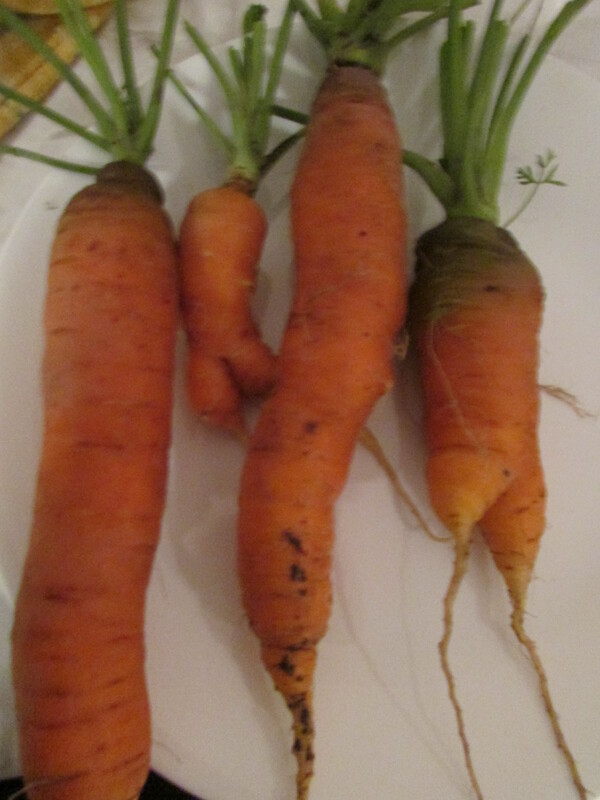 I watered erratically, so a lot of my carrots are stubby. But even so, I got a good haul of carrots, zucchini, cherry tomatoes, hot peppers, and various herbs — all local, organic, and delicious. 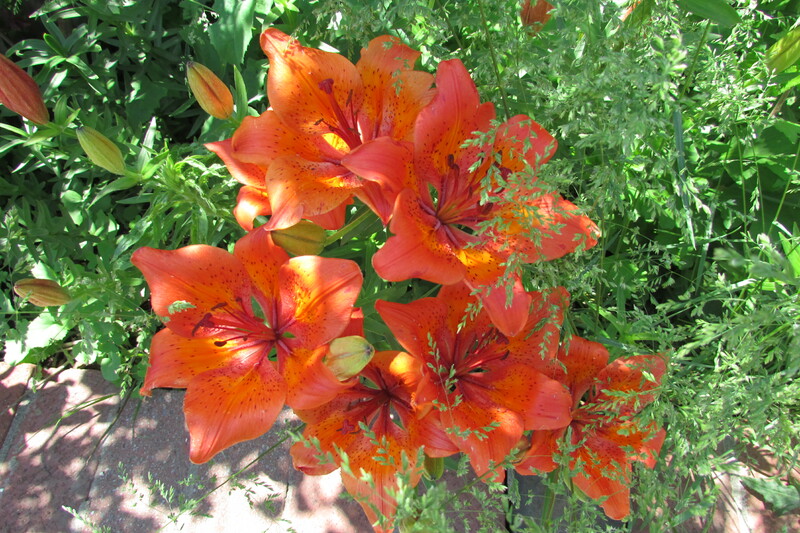 And the roses and tiger lilies put on a glorious show. That’s good enough for me! Life lesson: Who cares if my garden (or house, or personal style…) doesn’t look like it belongs on Pinterest or in a magazine, as long as it makes me happy and gets the results I want? 4. Experiment, learn, and do better. I didn’t get good results from bell peppers, cantaloupe, spinach, or sweet peas (flowers) this year. So next year I’ll plant more of what did work (see above) and try out a couple of new things. I’ll also try to be at least a little more consistent with watering, and more proactive with weeding.Life lesson: Try things, make mistakes, and learn from them. Experiments and mistakes are okay. It’s how kids learn — why not you, too? 5. It’s weirdly exciting to watch things grow. You plant something. You water and weed it occasionally. Maybe you fertilize it. And with just that and sunshine, you get a whole new living thing. 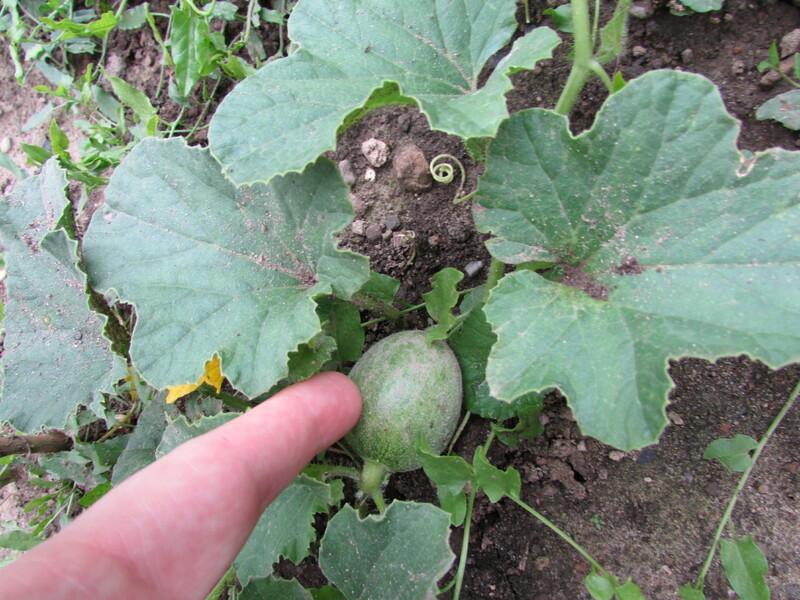 If you’re growing vegetables, you get to see what baby cantaloupe look like, or watch the whole growth cycle of zucchini. 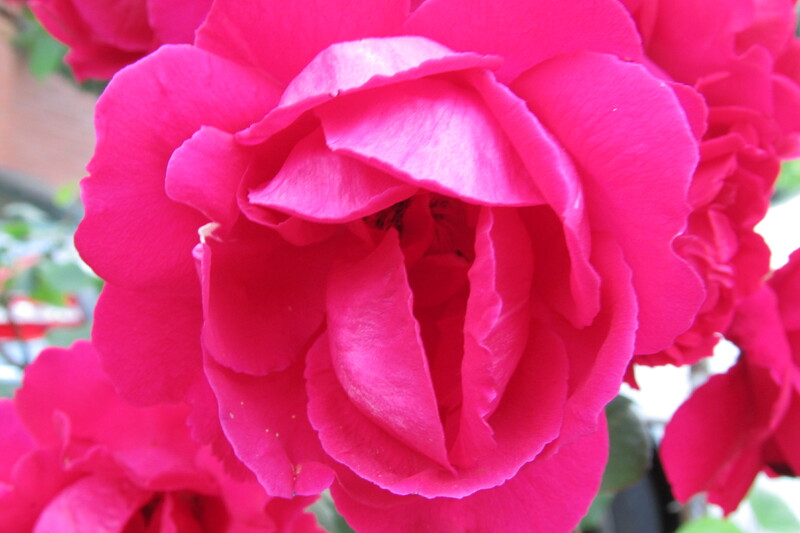 If you’re growing flowers, there’s the cycle of bud to blossom. Every week there’s something new to see. It’s pretty cool. Life lesson: Nature is both engrossing and relaxing. If you don’t have a garden of your own, try looking at the plants you pass on a regular basis and watch how they change — it’ll give you a minute or ten of being present, unplugged, and connected to the world around you. 6. Plants are slow…and that’s a good thing. You can’t sit there and watch them grow. You might not see a change in 24 hours (unless it’s kudzu…). If you’re growing a perennial, you won’t see real results (whether fruit or flowers) in the first year — and that’s without even mentioning trees! So gardening is an exercise in patience. In a world that’s increasingly fast-paced, watching plants is a great antidote. Life lesson: Sometimes good things build slowly. In the hectic pace of modern life, from social media to television, it’s good to step out of the flow and move at a different speed for a while. 7. Gardening is hard work…but it’s worth it. Gardening is a lot of work, especially when you’re just starting out and don’t know what you’re doing. It’s not for everyone. But it’s good exercise, and doing something with one’s hands — something tactile and tangible — is a welcome change for a lot of us. The process is rewarding (see above!). And all your hard work gets you delicious food and/or beautiful flowers. Life lesson: Hard work reaps rewards. Maybe not instantly (see above), but then the payoff is richer when it finally comes. Your turn! What has gardening taught you?